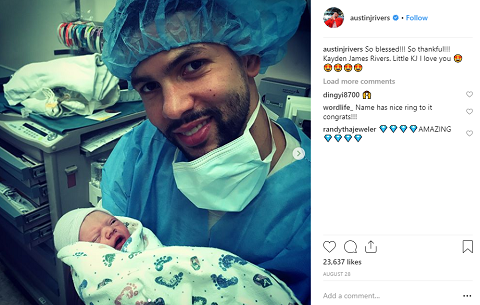 An American professional basketball player Austin Rivers plays for the Washington Wizards of the National Basketball Association (NBA). Rivers plays both as a point guard and shooting guard. He previously played for teams like New Orleans Hornets/Pelicans, and Los Angeles Clippers. Rivers is engaged to his girlfriend Brittany Hotard and has a child from their relationship. Currently, Rivers has an estimated net worth of $8 million. Austin Rivers was born on 1st August 1992, in Santa Monica, California, United States. His parents are father Doc Rivers and mother Kristen Rivers. His father is a basketball coach as well as a former NBA player. He belongs t an American nationality and holds African-American ethnicity. 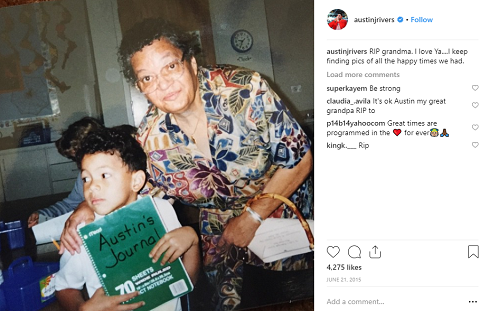 Rivers grew up along with his siblings, brothers Jeremiah Rivers and Spencer Rivers and sister Callie Rivers. Both of his brothers are NBA players while his sister a volleyball player. Rivers attended Winter Park High School. Likewise, he graduated from Duke University. Austin Rivers was also the part of his high school team at the FIBA Americas U18 Championship when they won the gold medal in June 2010. Similarly, in fifth annual Boost Mobile Elite 24 game, he was named co-MVP after recording 25 points, 4 rebounds, and 4 assists. Moreover, Rivers was further named the 2011 Naismith Prep Player of the Year. Likewise, Rivers played college basketball for Duke University. His college basketball career ended in the "Round of 64" of the NCAA tournament after his team lost the match against Lehigh University. In the 2012 NBA draft, Rivers was acquired by New Orleans Hornets with the 10th overall pick. Rivers made his NBA debut on 31st October 2012 and scored 7 points. He scored career-high 27 points in a match against Minnesota Timberwolves. Rivers played regular seasons for Hornets until 2015. Later, on January 12, 2015, he was traded to Boston Celtics and after three days he joined Los Angeles Clippers. Rivers re-signed a three-year contract with Clippers on 8th July 2016. Due to the heel bruise, he missed 18 games between late December and early February during the 2017-2018 season. Rivers was traded to Washington Wizards in exchange of Marcin Gortat on 26th June 2018. 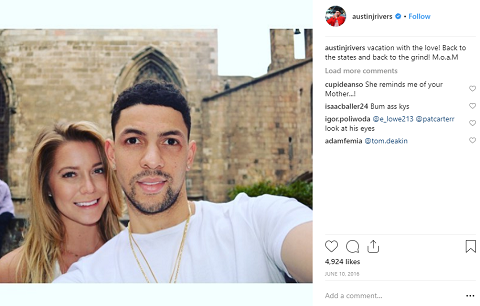 Austin Rivers is currently in a relationship with his long-term girlfriend Brittany Hotard. The couple is dating for long and is going strong in their relationship. Rivers and his partner Brittany engaged in November 2017. The duo is blessed with a child. They welcomed their child, son Kayden James Rivers, on 28th August 2018. Rivers shared adorable photos of his son on his Instagram. He is successfully maintaining his profession as well as family. Rivers is living a blissful life and frequently shares adorable photos of his partner and son on his Instagram. So far, there are no any rumors of his separation and other affairs. Besides this, Rivers hasn't been in any other relationships. Currently, the professional basketball player Austin Rivers has an estimated net worth of $8 million. He earns a decent amount of money from his career. Rivers previously played for NBA teams including New Orleans Hornets/Pelicans, and Los Angeles Clippers. Rivers currently plays for the Washington Wizards of NBA. On 8th July 2016, Rivers signed a three-year contract with Clippers worth $35,475,000. The contract included an average annual salary of $11,825,00 and the base salary of $12,650,000. Aged 26, Austin Rivers stands the height of 1.93 m i.e. 6 feet 4 inches tall and weighs 91 kg which is 200 lb.